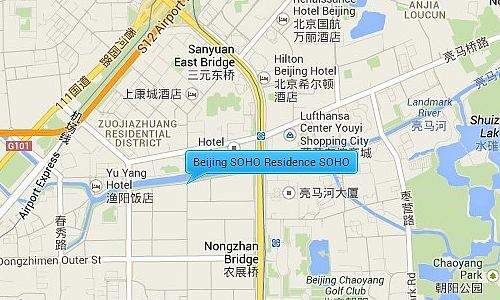 Beijing SOHO Residence covers an area of over 66,000sqm and comprises of a 25 storey building containing around 220 apartments, with the 1st and 2nd floors used for businesses. The apartments range from a 70sqm 1 bedroom layout to a 344sqm 4 bedroom layout. The apartments are modern and spacious, and the penthouse apartments enjoy a rooftop garden.